Having a strong core is vital for almost all exercises and sports. It will help to prevent injury, protect your spine, improve posture and stabilize your lifts and movement patterns. These core strength workouts are designed to help you become a healthier, stronger and more confident athlete. As always, function comes first, and the core is an incredibly important part of all functional movement, so that is why it must not be neglected. Abs are often mistakenly seen as a sign of a strong core, but it is possible to have well defined rectus abdominis (the outer muscles that form a 6 pack) and still have a weak core. The following exercises and workouts will primarily develop a strong core. Alongside conventional core workouts, static holds and instability are also great tools to use to test and improve your core strength. Static holds, as simple as they sound, are hard but extremely useful exercises to build full core strength and stability. Toes to bar will not be a problem if you dominate an L- Sit. Front squats and handstand walks will get easier, even Olympic lifts will feel more comfortable when your core is strong and functional. Static holds are exactly what they sound like: a static position held for a specified period of time. Plank – In general, the plank pose strengthens the arms, wrists, spine and abdomen. To maintain the plank pose, you have to draw your abdomen up toward your spine; this action targets the deeper muscles of the abdomen that support the spine. Side Plank – Another perfect exercise that strengthen your core before moving on to other exercises is side plank. Hollow Hold – Is one of the most difficult ab/core exercises around. The hollow hold or hollow body is important key exercise for developing stabilization and also for other gymnastics exercises such as handstands. Superman – A great way to strengthen your lower back and tone your glutes. L Sit Hang – This isometric exercise target your lower abs endurance and shoulder strength. Holding the L position work your entire body. Try adding the following workout into your programming in order to start incorporating static holds. Instability adds a completely new element to core training as it makes each exercise even harder to perform. 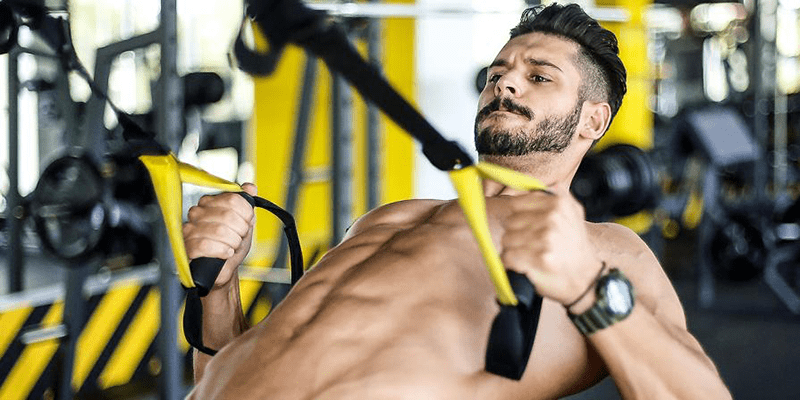 Exercises such the overhead squat or training using the TRX Home2 System is especially good for adding this new level of difficulty into your training. 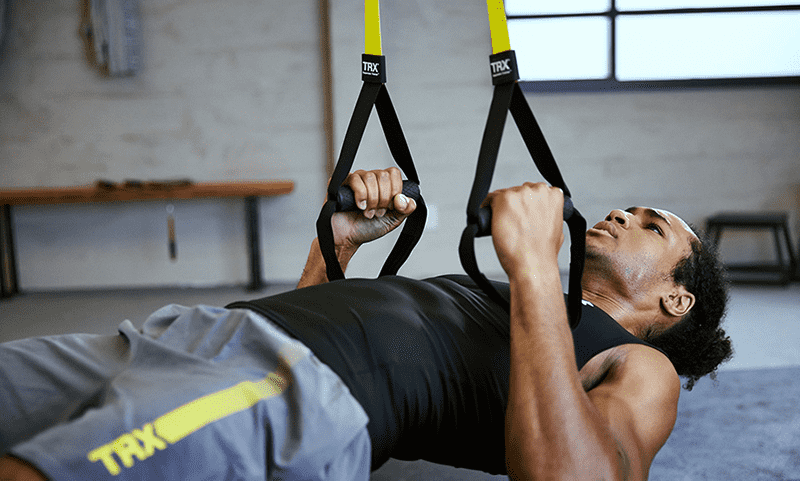 If you’re not familiar with the TRX Home2 System, it’s a set of straps with two handles that can be attached to the ceiling, a pull-up bar or a door. The length of the straps is adjustable which allows for hundreds of exercise variations, including rows, push-ups, squats, buzzsaws and even curls. The secret of the TRX Home2 System is the instability of the straps, which significantly challenges your core muscles. For exercises like rows and push-ups, a “moving plank” position ensures good form and proper range of motion. It’s also possible to easily change the difficulty of an exercise by altering your body position. Think about the difference between a ring dip and a dip on standing bars. This added instability forces your core and upper body to work harder to stabilise yourself throughout the full range of motion. Feel your muscles burn with the following workouts than you can complete with this equipment anywhere you want. The moving straps will take these technically easy exercises to a whole new level! Put your feet in the slings and move into the push up position. Pull your feet to your chest and back to complete a single feet pull rep.
Get your feet in the slings then it is time to suffer! These workouts also incorporate gymnastic exercises such as hollow rocks and holds. They are short and sweet and extremely effective. Adjustable Foot Cradles. The adjustable cradles allow you to lock your feet in when doing push-ups, planks and other core exercises, regardless of your shoe size. With previous models, the standard cradle size didn’t always work well for those with smaller feet. Padded Handle Straps. 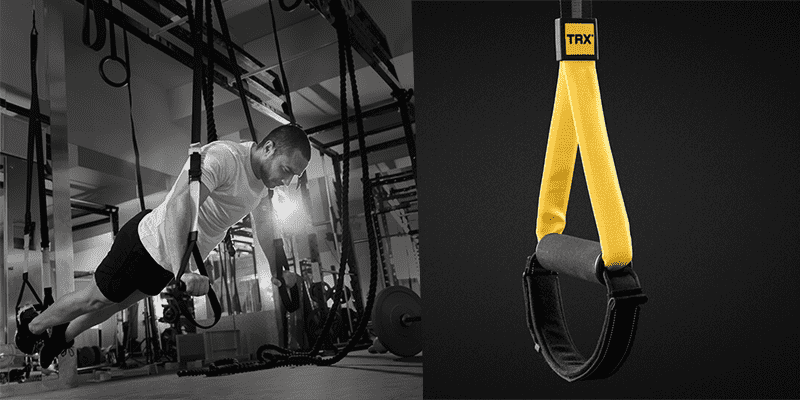 TRX cleverly added padding to the triangle above the handle so the straps don’t scratch your hands. It works pretty well and doesn’t appear to affect the function or durability of the straps. Barrel Lock Adjusters. These strap length adjusters first made their appearance on the TRX Force Kit Suspension Trainer, a version of the product designed for soldiers and other tactical athletes. There are no moving parts, creating a lighter and more durable design. Durable Foam Handles. This model doesn’t feature the rubber handles of the TRX Pro 4 Suspension Trainer, but the update foam appears to offer superior durability and feel compared to previous models. 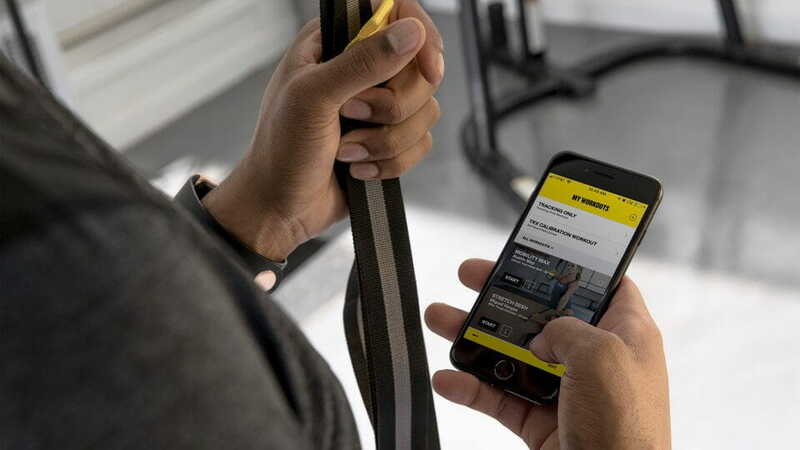 The TRX Home2 System also comes with a year subscription to the TRX app so you can follow workout plans designed by the experts at TRX—this is especially valuable if you’ve never used the product before. The TRX app has been updated to provide new workouts for the TRX Home2 buyers, who get a free 1-year subscription to the app (normally $4 per month for more than 80 workouts in running, cycling, yoga and HIIT). Throughout the training, you can view integrated video demos of the moves, making it easy to glance at your phone, tablet or computer and then follow along. The coaches give encouraging cues and really helpful tips on form so you know why you’re doing what you’re doing. And if you’re wearing a heart rate monitor, the coaches prompt you with “custom” in-ear heart-rate-based pacing tips so you get the most out of your workout, as if you were working with a real trainer. Save up to 50% on all TRX gear and free shipping (US only) as part of the holiday sale!